Here at Kids College we are proud of our children’s achievements. We are entrusted with a very special time in our children’s lives and we wish to celebrate all the joys and moments that go with that privilege. Our early childhood education values are based around new modern education ideas and good old fashioned values. Kids College has incorporated values from the Australian Governments National Early Years Learning Framework outlining early childhood education aims to provide all our Australian children with high quality early childhood education. We also work within the National quality standards Quality Areas to maintain our exceeding the national standards rating. We value our special times together and we compile a portfolio of each child’s learning journey. Each child’s Portfolio incorporates information on their learning journey, photographs, observations and special times. Our purpose with this is to highlight and celebrate your child’s strengths, interests and achievements during their time with us. With each child we observe their interests, needs and strengths and from this information we develop activities to enhance that child’s learning and enjoyment with us. This is all incorporated into our Education focus for the month programme. In our Observe, plan, implement and feedback cycle, we create a programme full of fun and learning for our Kids College children. All children experience their learning journey at a different pace. The aim of our learning here is not to accelerate their progression through the stages but to enhance learning at each stage and enjoy some special moments together. 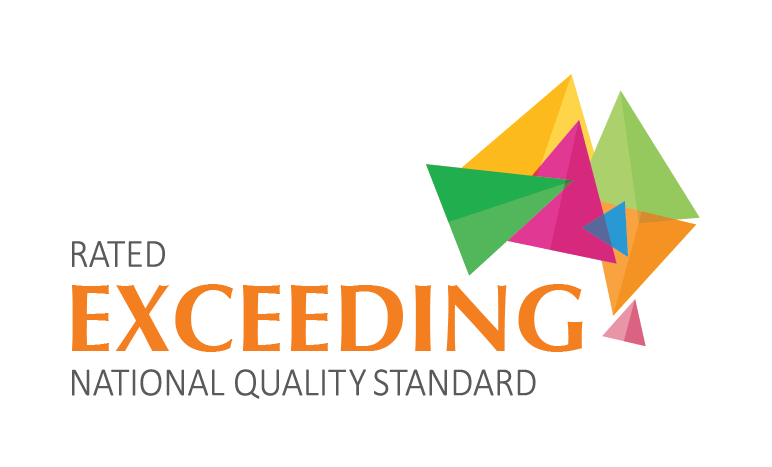 Education and Care Regulatory Unit who have accredited us at the highest quality level, exceeding the national standards.? These are just a few of the frequently asked questions, but please feel free to contact us. Yes we supply nappies to our Babies discovers room unto 2 years old. No, you will not be turned away if you child is not toilet trained. We will help you and your child through the whole process. Yes, we supply lunch. Our meals are nutritious and freshly cooked on site.? Do you have a minimum or maximum number of days? No, we offer flexible day schedule. Choose your own days - no minimum or maximum number of days. We are a long day care catering to children between ages of 0-12 years old. We are open 07:15-18:00 weekdays and through school holidays. Are you open in school holidays? Yes, we offer continuity of care with NO term breaks. What standards do your staff need to meet. Our staff team is highly qualified and most importantly have a love for children and a passion for childcare in their blood. See "How we teach" for more info. Can I monitor my Childs progress? Yes, we do individual portfolios and achievement reports. This means you can be ?involved in your?Childs educational journey every step of the way.